PyCon financial aid, SciPy 1.0.0rc2, envbox, how to create charts in Django, and much more. Get instant insights into app performance with end-to-end, distributed tracing. 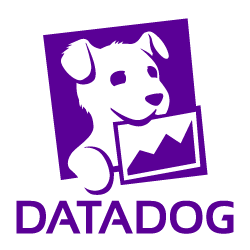 With Datadog you can graph and alert on real-time Python metrics, and correlate with data from 200+ other technologies across your stack. Those of you looking for help to get out to this year's Pycon look no further! Python and the sea of "selfs"
Best Python â€œstay freshâ€ exercises? Django Rest Framework Redis MultiTokens. Detect environment type and work within. a socket mock framework - for all kinds of socket animals, web-clients included. Standalone SSH server for Windows. Renders papers from Arxiv as responsive web pages so you don't have to squint at a PDF. Reinforcement Learning Coach by Intel® Nervanaâ„¢ enables easy experimentation with state of the art Reinforcement Learning algorithms. Implementation of Bayesian Recurrent Neural Networks by Fortunato et. al. Efficient Counter that uses a limited (bounded) amount of memory regardless of data size. Dragonfire is an open-source virtual assistant for Ubuntu based Linux distributions. A generalized Pratt parsing framework that uses preconditioned dispatching and can optionally check and overload on simple types. Walkthrough on implementing Fisher's LDA. Generating charts with fusion charts and Django. Some sqlite3 pro tips for optimization and working more efficiently. Blockchain curious? Look no further. a good endorsement of pytest.